Pastelería Raquel | Des Moines, Iowa | Todo Hecho Con Cariño & Amor. Todo Hecho Con Cariño & Amor. Pasteleria Raquel is local Des Moines bakery and cafe that has been in the community for over 18 years. We offer delicious custom cakes and desserts in a wide variety of flavors, best known for our "Tres Leches" cake and "Flan Napolitano". 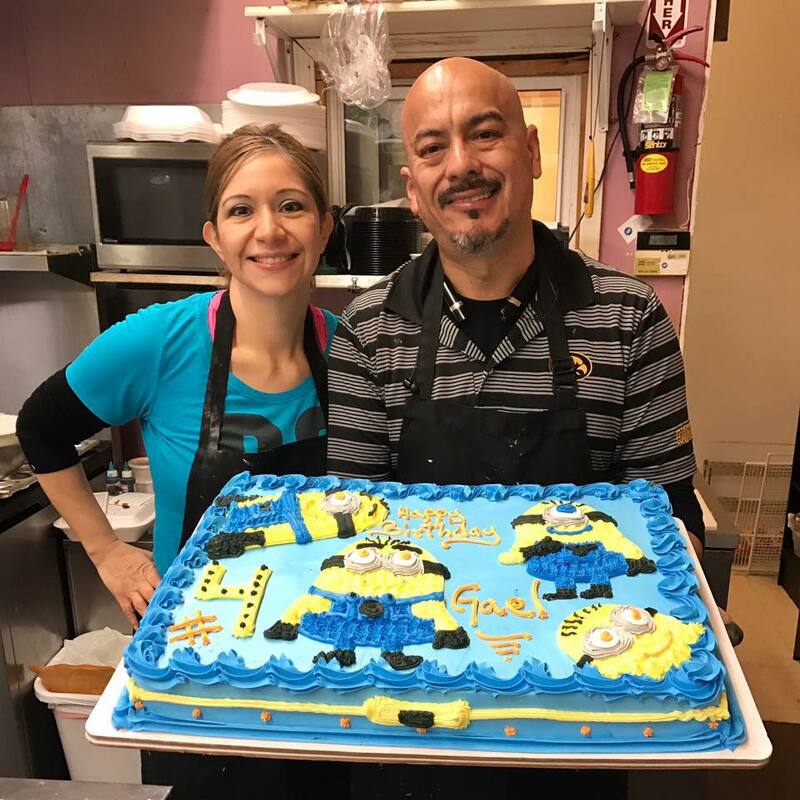 Unique cakes for every occasion including birthdays, weddings, quinceaneras, baby showers, office parties or just to satisfy your sweet tooth. We design your cakes to your style and liking. In addiziona to cakes and desserts, we offer traditional Mexican food! Visit us to try our tacos, tortas, burritos, quesadillas and more.